This month’s Ulster Business magazine contains the two page spread. 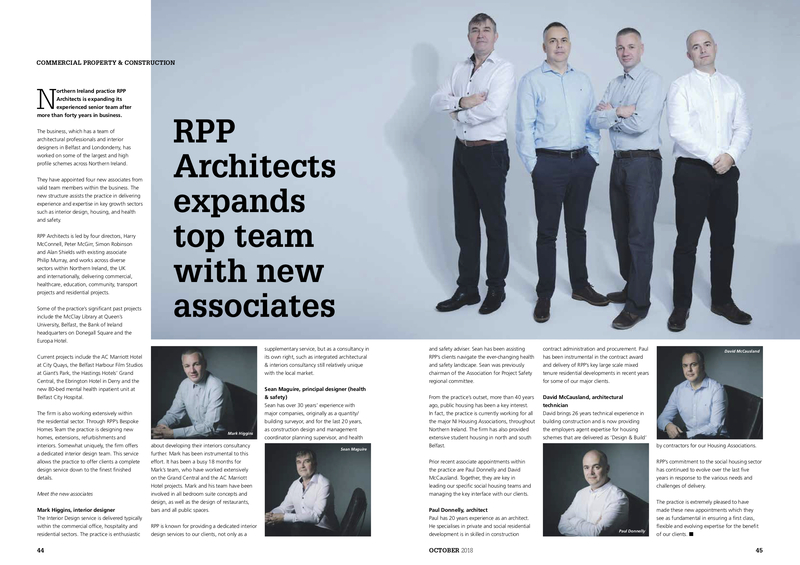 They have appointed four new associates from valid team members within the business. The new structure assists the practice in delivering experience and expertise in key growth sectors such as interior design, housing, and health and safety. You can read the full article at the download link below or purchase the October edition of Ulster Business.